Live Automation’s seasoned crew of SCADA programmers understands that clearly presented information, intuitive system controls and clear navigation are the core of good SCADA/HMI programming, which ultimately drives operational efficiency and performance. Our clients appreciate that we can design to their standards and that we never try to force them into a box. However, if you don’t yet have standards, we have some great ones, and we think you’ll like what you see. Either way, we’ll do the heavy lifting, but we will involve you every step of the way so that you wind up with a system you love. As the brains of your automation system, choosing the right SCADA system for your specific needs is paramount, as often times the ability to monitor and control systems and processes is just not feasible for humans, whether that limitation is due to location, cost or complexity. 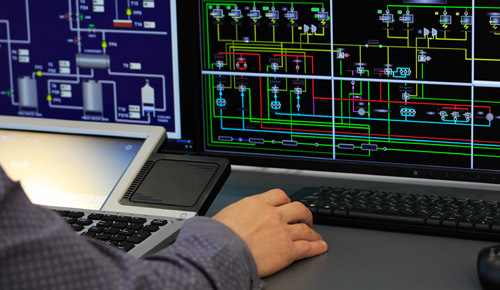 Whether you’re implementing your first SCADA system, updating a current system, or simply looking for an integration partner with the expertise required to help you sort through all of the available options, we’re happy to explore the following considerations to help you select the optimal SCADA system for your business. HARDWARE: You’ll need to inventory what type of equipment is currently in place at your site(s) and consider if the selected SCADA system will work with your existing hardware. REQUIREMENTS: Though you may be looking for a SCADA system today, it’s important that the system you choose supports your future needs as well, such as plans for plant expansion or growth in the number of data-dependent users. SECURITY: Consider conducting a vulnerability assessment in your SCADA system and close any gaps not considered best practices, mitigating any potential security risks. SCADA's design is centered on multi-level redundancy to ensure constant communication and operation of your system. This will maximize your productivity and allow continuous production. 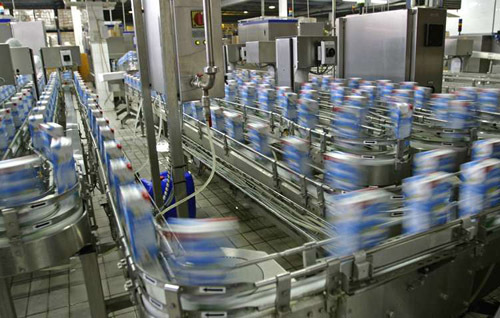 SCADA analyzes and controls the quality of manufactured products using standard SCADA functionality. This includes Statistical Process Control (SPC). Advanced statistical alarms allow your personnel to perform predictive calibration of process parameters, preventing out-of-limit deviations before they occur. Deploying a centralized SCADA system will allow you to significantly reduce operating and maintenance costs. With fewer personnel required to monitor operations in remote locations, the result is increased operator effectiveness. A SCADA system can be easily integrated with your existing business systems, leading to increased production and profitability. In addition, this system implementation allows you to transform, analyze, and present real-time information that can travel throughout your organization for prioritized decision making. When you spend money to improve operations, you need to know that you are getting what you paid for and that your system will withstand the test of time. A well-designed and open SCADA system can protect against control system obsolescence and can be easily scaled to meet growing demands on your operations. If you're considering a new SCADA system, or have an existing system that you would like evaluated, please give us a call to have a chat and we'll figure out the best way to make your life a little bit easier. Give us a call at (866) PLC-GUYS.